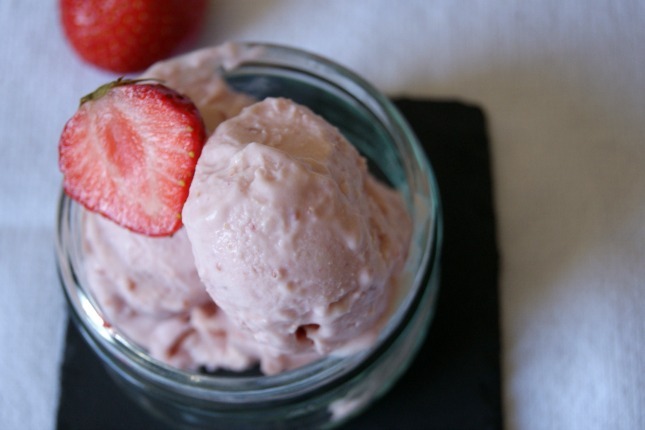 An actual easy ice cream recipe this time, not whizzed up frozen banana (that definitely wins the award for easy). 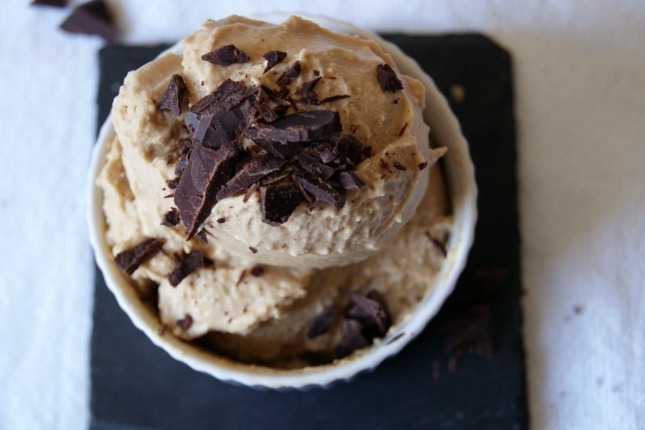 A few weeks ago, I said in my summer bucket list that I wanted to make coffee ice cream. 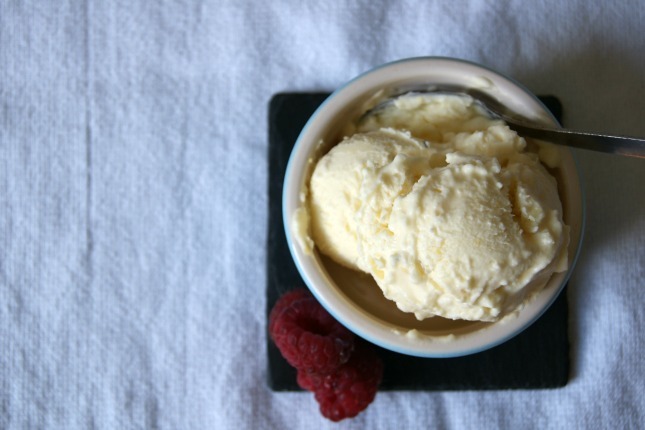 I wrote that because I’d been eyeing up a Nigella recipe for no churn ice cream for ages. I can’t understand how it doesn’t turn into a giant coffee ice cube in the freezer but somehow it doesn’t. 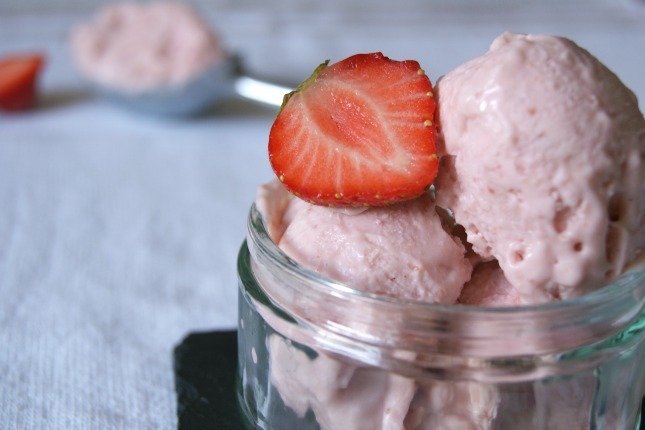 It just goes in the freezer, does it’s little thing and out pops a creamy tub of magically easy ice cream. It was so easy to make the coffee version that I tried two other flavours to see if this is the making of my ice cream making career (Ben and Jenny’s anyone?). 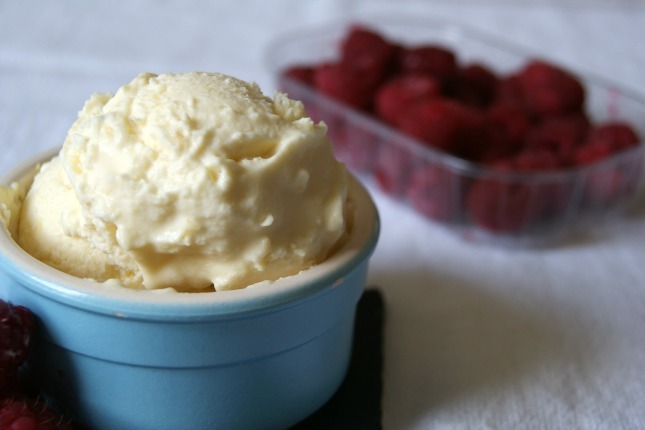 The base of the ice cream is made by whipping double cream (300ml) and condensed milk (175g) until it’s soft and fluffy. You can flavour this base (before you whip it) with whatever you like, just make sure that you add the flavour slowly to prevent it reacting badly with the cream. Also be careful not to overwhip the cream, stop just as it reaches soft peaks. 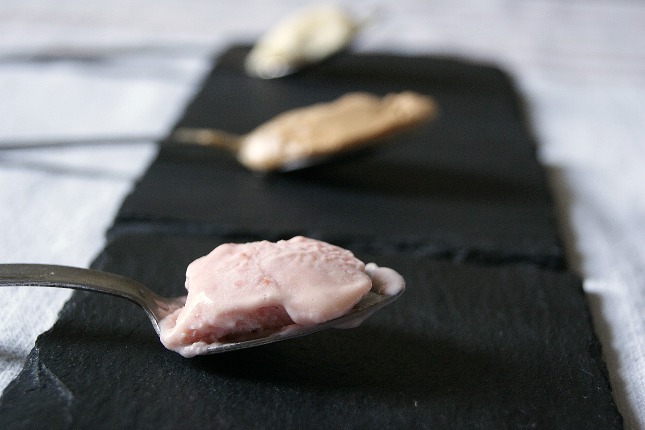 Pop it in the freezer, leave it overnight and the next day you’ve got yourself some home made ice cream. 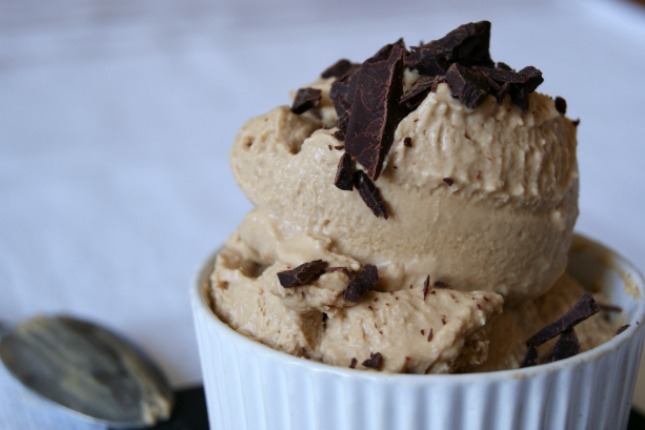 The texture of this is heavier than normal ice cream and is most like a dense frozen mousse, but that makes it extra creamy and smooth when you serve it straight from the freezer. This is flavoured with 2 tablespoons of kahlua (or any other espresso/coffee liqueur) and 2 tablespoons of espresso powder. Tasty with some dark chocolate or go for full on Italian/Nigella style and eat in a little brioche bun. 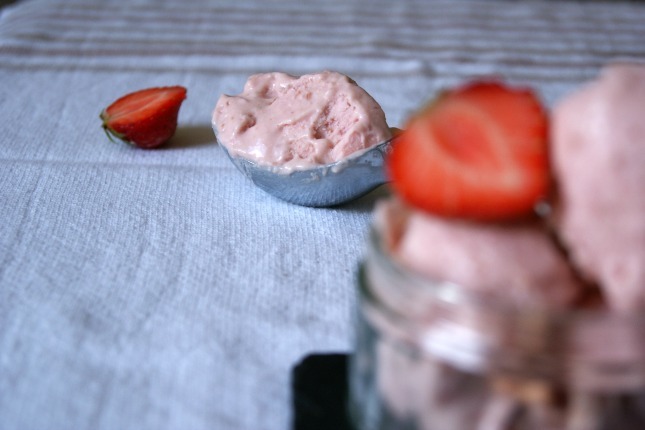 I flavoured this by blending together 5 strawberries, 5 raspberries and a handful of white chocolate drops. I don’t love big chunks of chocolate in ice cream, so I blend most of the chocolate drops then throw in some more just before it goes in the freezer. 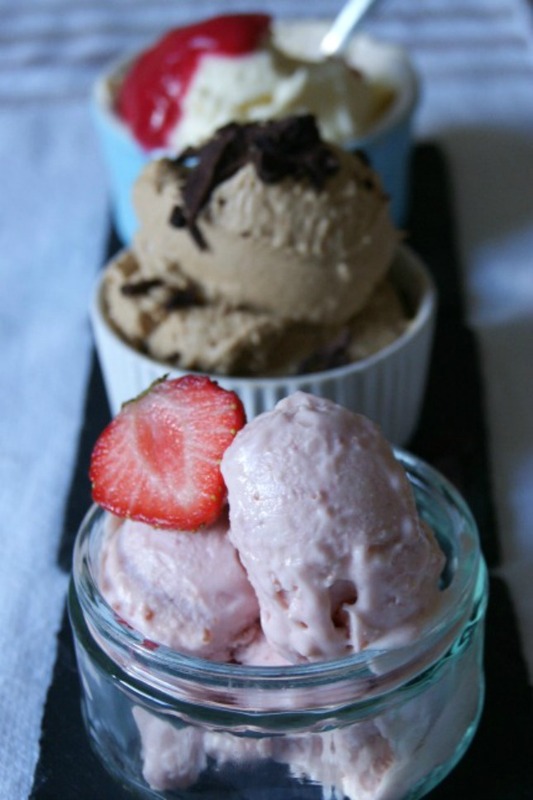 I added the berry chocolate mix slowly and just enough to get the flavour right, too much can upset the balance and creaminess of the ice cream. The most grown up of the bunch (ignoring the booze in the coffee ice cream), this mixes a teaspoon of lemon zest with one tablespoon of limencello and one tablespoon of rosemary simple syrup. To make the syrup bring 1 cup sugar, 1 cup water and 4 rosemary springs to the boil for one minute and then allow to cool – remove the rosemary sprigs and it’s ready. Add the flavour for this really carefully, lemon and cream could be a disaster otherwise. This herby, lemony little bowl of loveliness is really good with raspberries too. As always, I LOVE to read your comments – let me know if you have any ideas for other flavours or a favourite ice cream mix. I predict a lot more ice cream for the next few months.